Panama's former President Ricardo Martinelli has been extradited from the United States to his home country to face charges of corruption and illegal wiretapping. 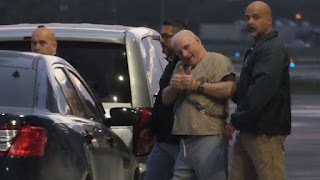 Mr Martinelli, 66, was arrested a year ago in Miami, Florida. He has been accused of using public funds to monitor the phone calls of more than 150 people, including politicians and journalists. He governed the Central American nation from 2009 to 2014.